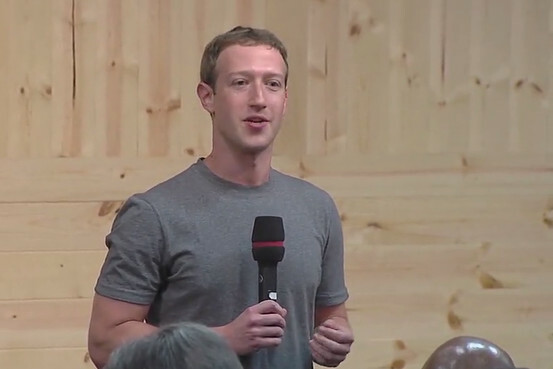 Facebook CEO Mark Zuckerberg held a first-of-its-kind town-hall meeting Thursday, fielding questions on a variety of subjects from Facebook users around the world through a live webcast. Participants submitted more than 9,000 questions through Facebook’s website and in person at Facebook headquarters in Menlo Park, Calif. Zuckerberg spoke for an hour, responding to about a dozen questions, not always expansively. One person asked about the accuracy of the movie “The Social Network,” a biopic about Zuckerberg’s college life and the early years of Facebook. Zuckerberg said the movie was largely inaccurate, but did not address the central theme – his friendship with Harvard classmate and co-founder Eduardo Saverin. Another questioner asked why users must download Facebook Messenger to send messages within the Facebook platform. Zuckerberg said Messenger offered a better experience than sending messages within the core Facebook app; he didn’t address concerns that the Messenger app allows Facebook to collect additional data. Zuckerberg appeared comfortable, standing with a wireless microphone in front of about 200 people, including Facebook Chief Operating Officer Sheryl Sandberg and Chief Product Officer Chris Cox. Zuckerberg said he would hand off some questions to other executives, but answered most himself. He offered few insights about the company that he hasn’t already spoken about publicly, either in earnings calls with financial analysts or in interviews. He reiterated that Facebook was bent on connecting the world to the Internet, and mentioned Internet.org, a non-profit initiative he founded with the goal of making it more affordable for people in poor regions of the world to get online, and getting over technological hurdles to connecting people in remote regions.